Are you having trouble with your current commercial phone service provider? Perhaps you're considering making a switch due to confusion over your monthly bill or an interest in making the switch to cloud-based phone service. Or maybe you're evaluating business phone options since you're starting a new business or opening a new location, and need to make sure you make the right choice. Business phone service should be a simple proposition--you want your phones to work reliably, and you don't want to pay excessive, variable, or confusing amounts each month for quality voice communications. Unfortunately, not every phone service carrier provides quality guarantees to their phone service customers or long-term pricing guarantees. We'll show you how to find a service partner you can trust who will give great value for your money. 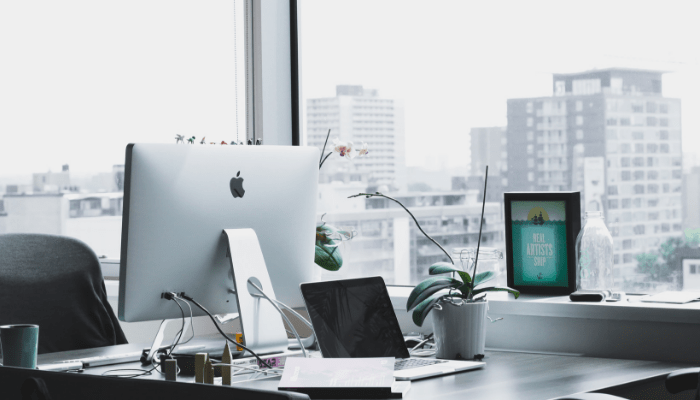 If you've already started to research your business phone service options, you've probably noticed that there are abundant choices. There are dozens of available options in the Washington D.C. Metro area alone, which range from small and locally-owned communications vendors to much nationwide carriers who provide a range of communications services. Chances are, you're less concerned with who you pick than whether they can deliver quality communications at a great price. The factors which are most likely to impact your customer experience include vendor accountability, transparent billing, vendor reputation, and pricing guarantees. If something goes wrong with your commercial phone service, are you going to have "one throat to choke," or will you find yourself wondering who will be able to troubleshoot the issue? "One throat to choke" is a phrase used in business to describe the possible advantage of buying from a vendor who offers a single point of contact, who will need to take full responsibility when something doesn't work as intended. Local vendors who specialize in commercial phone service and offer dedicated account representatives are more likely to provide a clear point of contact than larger organizations. A local vendor has their reputation on the line when it comes to delivering quality, personalized, and timely service to its clients. One dissatisfied customer who writes a frustrated online review can have a real impact on their business and bottom line. Nationwide telecom carriers don't face the same pressure. The way we like to say it is that we pay attention to Main Street... not Wall Street. Commercial phone service providers face relatively few regulations for presenting bills. The Federal Communications Commission (FCC) has a limited number of requirements for community-based telecom providers and other telephone companies to follow when billing customers, which are known as "Truth in Billing." These requirements address the disclosure of information and required sections, but don't control how a bill is formatted or organized. The result is that many of our customers have found their phone bill from their previous carrier as confusing, sometimes misleading and have spent hours trying to decipher the information each month. Some even pay third party vendors to make sense of their phone bills for them! Ask for a sample bill before you partner with a vendor to ensure you can clearly understand where your monthly charges are coming from. A bill should include clear remittance information, statement information, account summary information, and customer messages. Most importantly, it should consist of clear phone service charges for features, local calls, and long distance information. If your organization has special billing requirements, such as a need to split phone bills over multiple departments, ensure that a prospective commercial phone service company can accommodate these requirements. Learn more in How to Decipher Your Phone Bill: 8 Things to Look For. If you're considering purchasing commercial phone service, never be afraid to research a potential vendor's reputation carefully. Online customer reviews can reveal the quality of their service. Reputable vendors should also be happy to provide client references, case studies, and testimonials. When researching a vendor's reputation, verify both the quality of their service and the depth of experience. Reading case studies from happy customers at organizations with similar firmographics can provide peace of mind that a company will deliver on their promises. A vendor who is hesitant to give references may not have a track record of customer satisfaction or strong industry experience. Read the fine print carefully, before you sign on the dotted line. It's common for many types of communication services to offer introductory service period pricing, which may significantly increase in price after 12 months. If the cost of the long-term phone system is prohibitive after the initial period ends, you may face few options. You could be obligated to remain with the vendor and forced to choose between paying a steep contract termination fee, a much higher monthly service fee, or shopping for a new vendor with minimal costs of migration. Verify that your initial monthly cost estimate reflects long-term monthly pricing per line and features with your vendor instead of a limited-time offer which could quickly skyrocket beyond your communications budget. 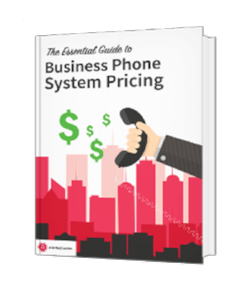 Gain more insight into The Essential Guide to Business Phone System Pricing. The cost of business internet service can vary depending on the type of service you select (copper or fiber-optic internet technology), speed, bandwidth, and guarantees. Read the fine print to ensure that your price won't increase after an introductory period. Many internet vendors do not guarantee speed, bandwidth, or service-level availability to clients, and some require clients to purchase priority tech support at an additional cost. Read more about bundling in The Best Business Telephone and Internet Packages Available Now. Some commercial communications vendors don’t have their own data network for supporting IP-based telephony service, data, cloud, and other features. Some organizations who sell IP-based phone and internet services are reselling another company’s service and do not have their own network resources. Partnering with a reseller is risky for several reasons. It's not the most cost-effective approach since these middle-men profit off marking up someone else's service and resources. Resellers also have limited control over their clients' Quality of Service (QoS) and reliability factors since the network is wholly owned and maintained by a third party. Trying to troubleshoot issues can be complex while dealing with a third-party intermediary. Favoring a provider with their own, local network resources can provide cost efficiency and reduce the risks of quality issues. There are some advantages to selecting a local provider over an international commercial phone service company, primarily a provider who lacks a strong local presence. Local providers can offer access to regional account representatives and local expertise for on-site visits, training, and migration planning. For some regional providers, like Atlantech Online, you may be able to access lower pricing compared to "megatelco" providers. Atlantech keeps prices low with smart business process automation and the fact we don't have national marketing campaigns. Atlantech Online is a Washington DC-based provider of fiber, voice, and data center services. Over the past two decades in the industry, we've carefully built a reputation for the best local customer service, including 24/7/365 live expert support. Businesses in the Washington, D.C., area rely on us when it comes to Internet connectivity, data center, and VoIP (voice-over-internet-protocol) phone service which is delivered over Atlantech's own high-speed, high bandwidth fiber network.